Layout compression removes specified layouts from the visual tree in an attempt to improve page rendering performance. This article explains how to enable layout compression and the benefits it can bring. Invalidation is the process by which a change in an element on a page triggers a new layout cycle. Elements are considered invalid when they no longer have the correct size or position. Every element in the visual tree that has children is alerted whenever one of its children changes sizes. Therefore, a change in the size of an element in the visual tree can cause changes that ripple up the tree. 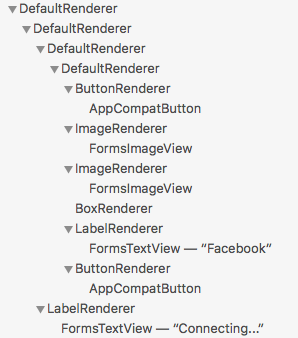 For more information about how Xamarin.Forms performs layout, see Creating a Custom Layout. The result of the layout process is a hierarchy of native controls. However, this hierarchy includes additional container renderers and wrappers for platform renderers, further inflating the view hierarchy nesting. 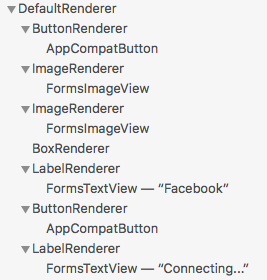 The deeper the level of nesting, the greater the amount of work that Xamarin.Forms has to perform to display a page. For complex layouts, the view hierarchy can be both deep and broad, with multiple levels of nesting. Layout compression, which is available for Xamarin.Forms applications on the iOS and Android platforms, aims to flatten the view nesting by removing specified layouts from the visual tree, which can improve page-rendering performance. The performance benefit that's delivered varies depending on the complexity of a page, the version of the operating system being used, and the device on which the application is running. However, the biggest performance gains will be seen on older devices. While this article focuses on the results of applying layout compression on Android, it's equally applicable to iOS. Since layout compression removes a layout from the visual tree, it's not suitable for layouts that have a visual appearance, or that obtain touch input. Therefore, layouts that set VisualElement properties (such as BackgroundColor, IsVisible, Rotation, Scale, TranslationX and TranslationY or that accept gestures, are not candidates for layout compression. However, enabling layout compression on a layout that sets visual appearance properties, or that accepts gestures, will not result in a build or runtime error. Instead, layout compression will be applied and visual appearance properties, and gesture recognition, will silently fail. Compared to the original nested view hierarchy of 17 views, this represents a reduction in the number of views of 17%. While this reduction may appear insignificant, the view reduction over an entire page can be more significant. Fast renderers reduce the inflation and rendering costs of Xamarin.Forms controls on Android by flattening the resulting native view hierarchy. This further improves performance by creating fewer objects, which in turn results in a less complex visual tree and less memory use. 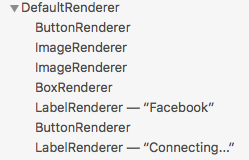 For more information about fast renderers, see Fast Renderers. Compared to the original nested view hierarchy of 17 views, this represents a reduction of 52%. The sample application contains a page extracted from a real application. Without layout compression and fast renderers, the page produces a nested view hierarchy of 130 views on Android. Enabling fast renderers and layout compression on appropriate layout classes reduces the nested view hierarchy to 70 views, a reduction of 46%. Layout compression removes specified layouts from the visual tree in an attempt to improve page rendering performance. The performance benefit that this delivers varies depending on the complexity of a page, the version of the operating system being used, and the device on which the application is running. However, the biggest performance gains will be seen on older devices.